Reprinted from The Los Angeles Times by Don Lee on September 26, 2017. 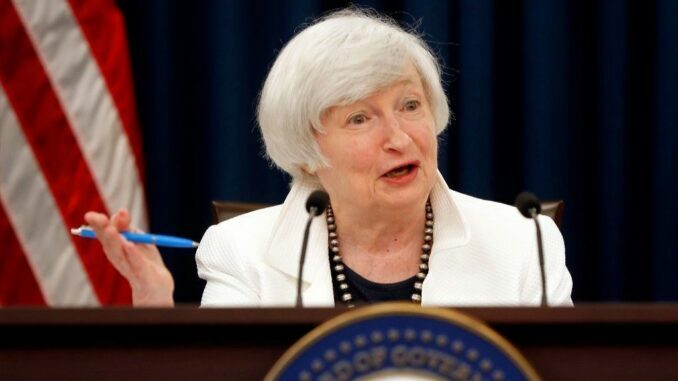 In a speech Tuesday marked by large doses of both statistics and humility, Federal Reserve Chairwoman Janet Yellen said that the economic outlook is highly uncertain, suggesting that the central bank will proceed slowly in raising interest rates and scaling back easy-money policies. The Fed has been moving to reduce monetary support for the economy based on an assessment that the labor market is strengthening and that inflation, which has been unusually low, will soon stabilize. Last week, the Fed announced it would begin unwinding the massive bond-buying effort it began after the financial crisis of 2007-08 and signaled that another interest rate hike, after two small increases this year, would come by December’s end. Policymakers foresee three rate hikes for next year.